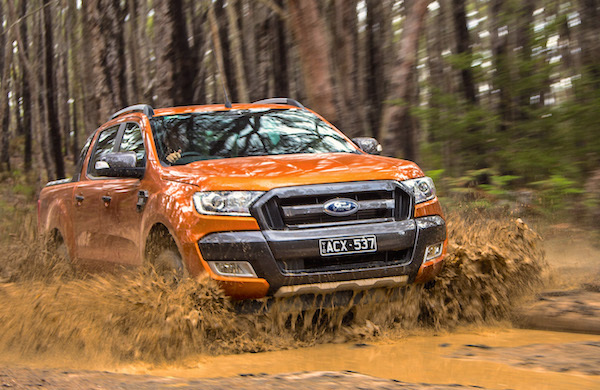 The Ford Ranger is the best-selling vehicle in New Zealand for the third year in a row. 2017 marks the fourth consecutive all-time record year for New Zealand new vehicle sales, lifting it from 127.179 in 2014 to 159.872 this year (+9%), as the record was broken as early as by end-November (148.360). SUV sales surge 18.8% to 62.845 while passenger cars are down 8.5% to 45.030, light commercials are up 15.6% and heavy commercials up 21.8% to 5.908. Toyota remains master in command by far with deliveries soaring 21% to gain almost two percentage points of market share to 20.5% vs. 18.3% in 2016. The Top 5 brands are unchanged with Ford (+0.4%), Holden (+1%), Mazda (+8%) and Mitsubishi (+24%) rounding up the Top 5. Hyundai (-6%) overtakes Nissan (-9%) to rank #6 while Suzuki (+32%), Kia (+23%) and Volkswagen (+10%) retain their position and all post double-digit gains. Chinese LDV (+28%), Subaru (+26%), Foton (+21%), Honda (+17%), Fiat (+16%) and Audi (+13%) are among the most dynamic further down while Tesla shoots up 918% to 244 sales. Three carmakers make their first appearance in the NZ charts this year: Haval (#47), Infiniti (#53) and Seat (#66) but all remain below 100 annual sales. 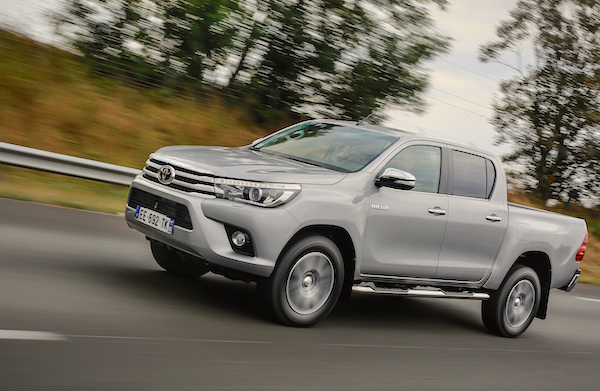 The Toyota Hilux is up 31% to 2nd place overall in 2017. The Ford Ranger celebrates three consecutive year atop the New Zealand sales charts, beating the market with a 11% gain to 5.9% share but its two pursuants do even better: the Toyota Hilux gains 31% to step up to #2 overall with 5.1% share just as the Toyota Corolla soars 24% but is knocked down one spot to #3. Toyota even places three nameplates in the Top 4 for the first time with the RAV4 (+28%) and Holden Colorado (+20%) exchanging positions vs. last year. The Mitsubishi Triton (+28%) holds strong at #6, making it four pickups in the Top 6, with the Mitsubishi Outlander (+41%) and Toyota Highlander (+37%) are among the best performers in the Top 30. The Ford Escape (#25) is the most popular all-new launch in New Zealand for 2016. Full Year 2017 Top 98 All-brands and Top 30 models vs. Full Year 2016 figures below. Full December 2017 Top 65 All-brands and Top 30 models below. New Zealand January 2014: Fourth consecutive record month!